The famous and often-cited Canboulay riots which took place in Port of Spain at Carnival 1881 were in fact quite minor to the serious and widespread clashes which marred the carnival in San Fernando and Princes Town 100 years ago. Canboulay, or properly written "Cannes Brulees", means "burning cane", and this commemorated the putting-out of cane fires during slavery. 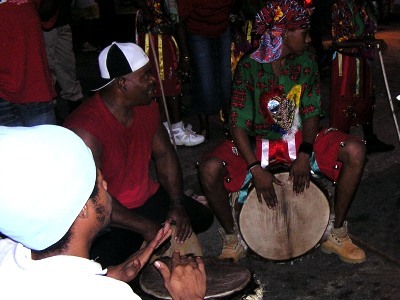 After slavery it became one of the important and deep-rooted festivals of the black people and was marked by ribald dancing and the lighted flambeaus carried in the street. The police always opposed this with vigour, claiming that the lighted flambeaus could burn down the town. The people, who always regarded the police as oppressors, resisted and resisted bitterly. 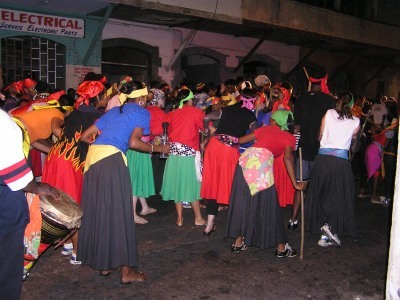 During the period that Canboulay was observed on August 1, the anniversary of the Abolition of Slavery, it was easy to suppress the cult, but when this was crushed and the people started Carnival time, it became almost impossible to quell it, because the masses claimed the right to celebrate Carnival as they thought fit. And more than that, with the people in celebration, and emboldened by drink, and most important of all with masks on their faces, Canboulay riots involving policemen and masqueraders became the order of the day. This became especially so during the carnivals of the 1880's when Captain Arthur Baker was in office. Captain Baker had sworn to wipe out Canboulay for good and he, with a contingent of policemen, had made a frontal attack on Canboulay masqueraders in those historic Canboulay riots in Port of Spain at Carnival 1881. The governor of that time, Sir Sanford Freeling, had taken the part of the masqueraders and had confined the police to barracks, which brought him into direct conflict with Baker. In 1883 Freling was recalled to England before completing his term, so Baker had won in the end. Now, just before carnival 1884, Baker decided to make his presence felt. Port of Spain was now quiet, so Baker thought he would turn his attention to the ribald, unchecked Canboulay revelries in the South. 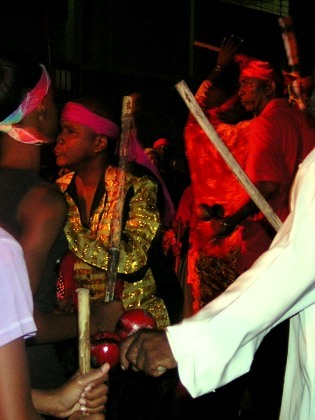 With Canboulay drums nightly rolling in San Fernando and Princes Town, the Police once more clamped the usual Carnival ban on Canboulay, and under the direction of Captain Baker, prepared for the event. The week before Carnival several people were enlisted as Special Constables for the Carnival. These were generally the men of substance in the area, but among them were a number fo old masqueraders who were reformed" and now regarded as police spies. There were also a few indentured labourers amongst the number. Because of the sharp cultural differences, the East Indian indentured labourers had no sympathy with the Carnival, and were often informers on the clandestine movements of Canboulay masqueraders. Princes Town, on Carnival Sunday evening, all the special constables were assembling at the police station to take instructions from Magistrate Hobson. These special constables were given long balata staves and the policemen were armed with rifles. It was hardly 10 p.m. when the sound of the defiant Canboulay horns sounded all over Princes Town. The special constables and armed policemen were in the station yard ready to rush out to the attack, but waited until one of the bands had taken to the streets. Then at one o'clock in the morning a shrill cry of defiance tore the air, the rolling of Canboulay drums was heard, and Canboulay flambeaus were seen blazing in the night. Magistrate Hobson held back the special constables and armed policemen because this seemed to be an unexpectedly large Canboulay band and he felt he did not have enough men to cope with it. He kept his fore in the yard of the Police station while his spies informed him of the movements of the Canboulay revelers and of the wild dancing going on in the centre of the village. He attempted to send to San Fernando for reinforcements but the Canboulay revelers were one step ahead, for they had cut the telephone lines. He had no alternative but to keep his force at the police Station. But the masqueraders were in a hostile mood and had planned to do battle with the police. Now seeing that the police did not attack, they felt the policemen were afraid, and so they decided to attack the police. With chanting and yelling, and the frantic dancing of the Canboulay, they moved on the Police Station. When the masqueraders burst into the station yard the special constables and armed policemen retreated inside the building for safety. The masqueraders shouted threats and then began hurling stones into the Police Station. Then some of them entered the police station door and, in a dramatic incident, Magistrate Hobson was felled with a stone. 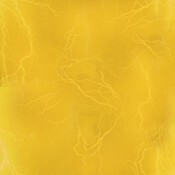 He called on his men to fire. A boy was shot dead instantly, and two persons were seriously wounded, one shot through the leg. Needless to say, the masqueraders tumbled out and fled. Having had the Canboulay broken up and at the same time having had terror struck in the district, Princes Town knew a very quiet and somber Carnival in the year 1884. In San Fernando there was the same eagerness to put an end to the Canboulay, and all officers of the Constabulary were put on the alert. Here too a great number of people were sworn in as Special Constables and all Friday they stood in readiness as Canboulay horns sounded on the air. The Special Constables assembled at the Police Station on Harris Promenade while at about 1:30 p.m. on Friday hostile Canboulay devotees began parading in Coffee Street, apparently itching for a clash with the police. The clash came soon afterwards when the police, together with the Fire Brigade Volunteers and Special Constables, moved into Coffee Street. Bottles, stones, and other missiles flew wildly about, and blood flowed, but the riot was suppressed. On Carnival Sunday night there was even more trouble. At 9 p.m., with Canboulay noises resounding in the town, the captain of the volunteer Fire Brigade, Robert Johnstone, sent some men to Cipero Street. From the tower of the Court House on Harris Promenade, a Canboulay procession had been spotted. The band was intercepted and was ordered to stop drumming and put out the flambeaus. The masqueraders were heavily outnumbered and so they complied, but this was not the case in every instance. A reporter wrote: On getting a little above the old police guardroom in Coffee Street, a mob armed with sticks was seen at the corner of Upper Hillside and Coffee Street…and blows were exchanged." Bottles and stones were flung about freely, and many of the guardsmen were injured, some severely. The same reporter said, of the aftermath: The company was then marched to the guardroom in Cipero Street, and having rested for about half an hour, paraded up and down Coffee Street until about five o'clock, then returned to barracks." But even this did not stop the Canboulay and the loud singing and drumming must have been heard on Carnival Monday and Tuesday, both in Coffee Street and in the Spring Vale section of San Fernando. In later years the Canboulay became less ribald and defiant, in direct proportion to the relating of what the masses would have called persecution". By the end of the century the rhythm of bottle-and-spoon had joined the drums and the singing remained as strident as ever. Just before the Second World War the pans came, the drums and bottle-and-spoon faded away, but the singing was still there, the singing of the road march. In time, though, even the singing could not compete with the musical pans, but of course there remained the carnival (or Canboulay) crowds, and the music in the street.